Summer finally made it and I’m so happy because it’s my favorite season! Even though I’m in Florida and the weather stays almost consistent year round, I still love it. Everything seems more relaxed and slower paced. There’s a little less to worry about because my baby is out of school, so there’s no rushing to get him out of the door in the morning. We attend as many summer events and festivals as possible and of course we go to the beach. That means we’re away from home a lot. I have two little boys and they always want something to eat while we’re out and about. I keep snacks on hand, but I make sure that most of it is fresh produce. 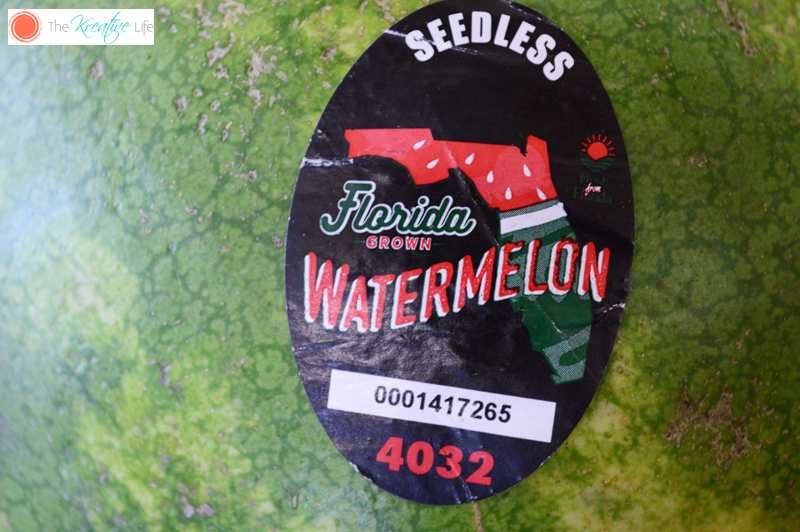 Since June is here we can now get Fresh From Florida watermelon. It’s my oldest son’s favorite fruit. He’ll eat it for breakfast, lunch, dinner, snack, and times when he’s bored if I let him. Taking it with us is as easy as slicing it, putting the slices into a plastic container, and placing it into the fridge until we get ready to head out. That way they’ll be nice and cold when they’re ready to eat them. When we’re outside it gets really hot and sometimes kids don’t want to stop playing to take a sip of water, but they’ll slow down for watermelon that’s why I’m glad that it’s about 92 percent water. That way they can stay hydrated in the heat, while getting some vitamin A and C and loads of antioxidants. Lately, I’ve realized that carrying swim clothes, beach towels, beach umbrellas, sand buckets, and loads of snacks were getting a little cumbersome, especially if I don’t have much help carrying everything myself. I found an easier way to bring the watermelon with us and I can also enjoy this recipe at home. I make this recipe and put it into juice containers for them. 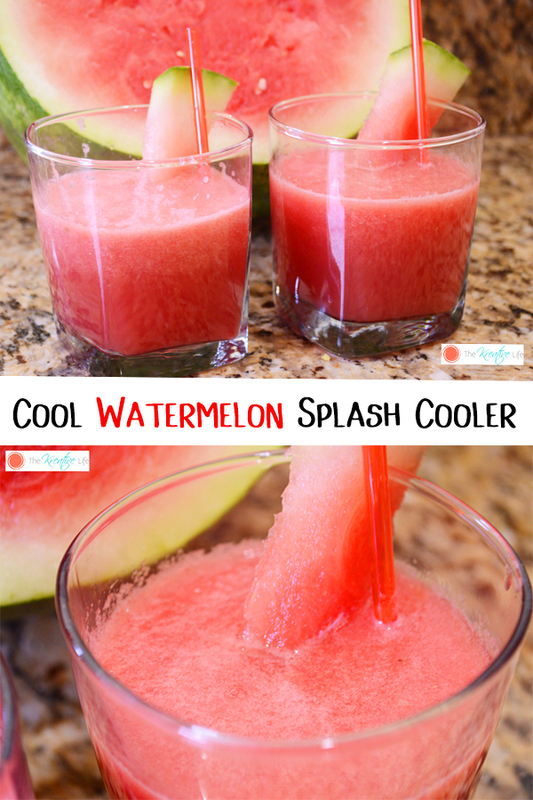 This Watermelon Splash Cooler will keep you cool on any hot day. Enjoy! 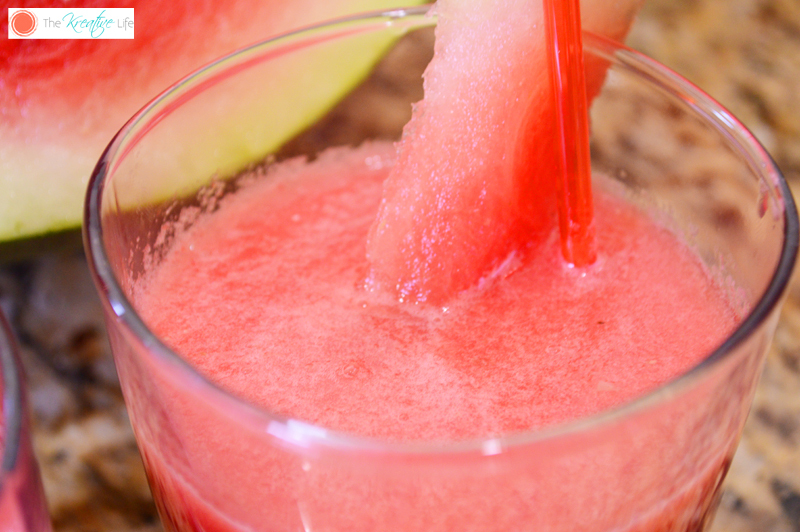 Scoop out the flesh of the Fresh From Florida watermelon and place in a blender. Add all other ingredients to the blender. 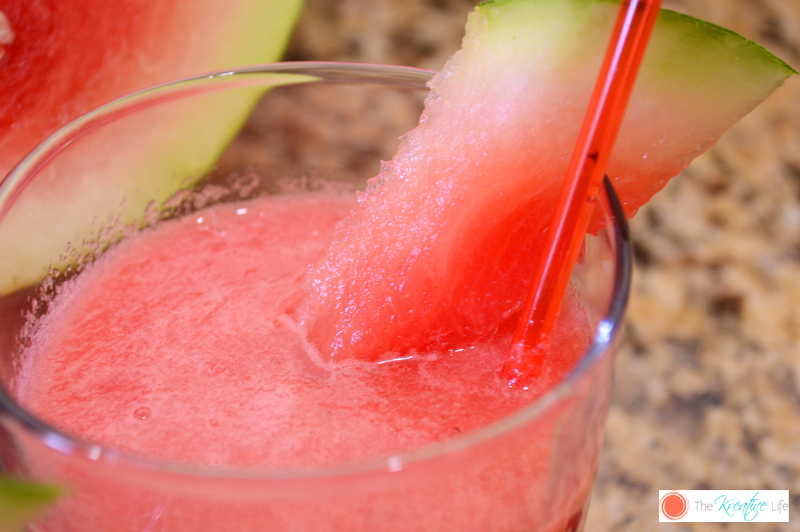 Blend until watermelon is liquid. Serve cold. If you like fresh fruit recipes, then you’ll love these strawberry yogurt pops! If you want to use Fresh From Florida produce in your recipes, make sure you look for the Fresh From Florida logo. You can visit the Fresh From Florida website for tasty recipes or even follow Fresh from Florida on Facebook and Fresh from Florida on Twitter to receive weekly recipes that include Florida produce. How do you enjoy your watermelon? I can’t stop eating watermelon in the summer. It’s such a refreshing treat. I’ve used it to make fruit water, but haven’t tried this method yet. Looks delicious. 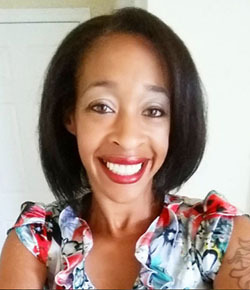 Cindy Ingalls recently posted…Best Ways to Wear Perfume! 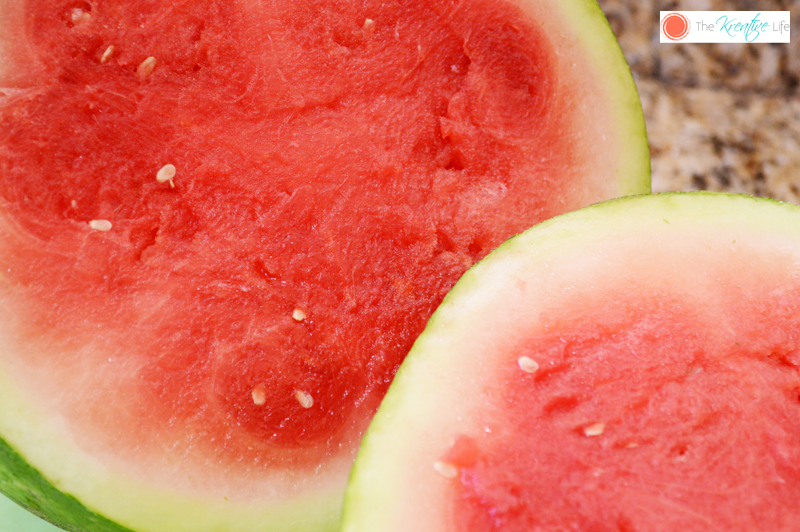 No summer is complete without watermelon! It’s one of the best fruits to have during the summer because it’s so refreshing and cool. I love turning it into a beverage, and this is a great addition to my recipes! It’s a great way to beat the heat, that’s for sure. Oh this would be unbelievably refreshing. I’d love to sit on the patio and sip on one! Watermelons are my favorite summer time fruit. I enjoy it sliced and chilled. I think a splash cooler would be awesome. I will try making this using your recipe. Oh, I love this! Sounds really refreshing, perfect for the hot weather! I love the taste of watermelon. What a delicious drink to have in this hot weather! Nice addition of OJ. Oooo this looks absolutely delicious!!!! Anything watermelon is the absolute best! Yum! I love watermelon, it’s my favorite. I can’t wait to try this for myself. I think I will make it this weekend for my mom and her friends. Ive never had a watermelon drink but this looks delicious! This drink looks so refreshing I’d love to pack up some and take them to the beach! I love the summer when we can get fresh watermelons. I will have to make this cooler. Sounds yummy. Watermelon is my favorite! Yummy!